Blackjack is the classic fine wine of the casino world, nothing beats Blackjack and it will never goes out of style. It’s easy to see why people love it, the rules are simple to follow and it offers some of the best odds. 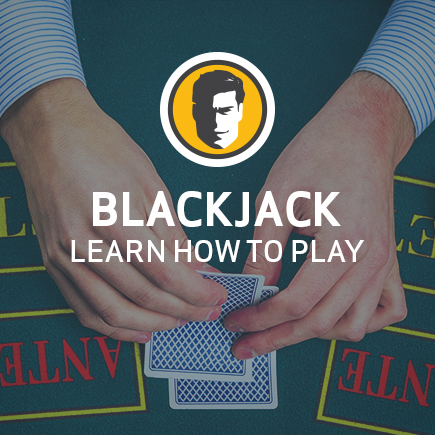 If you’re fascinated by what happens on the felt, check out my guide on How to Play Blackjack. There is an art to blackjack betting and strategy. Learn the basics and you could be on your way to winning some major moolah. The best thing in my experience is practice, practice, practice. Below I’ve put together a few blackjack basics for you to know. When you’re done be sure to have a look at the tons of Blackjack games over at Joe Fortune, the best casino in Australia. It’s time to Deal you in. Pull up a chair, and ante up. Both yourself and the dealer will receive two cards, both face up to you. For the dealer, one card will be face up and one face down. You need to have a higher total than the dealer. You need to come as close to 21 as possible, without going over. The royal family (King, Queen, Jack) are worth 10. Aces can be used in two ways. Aces can count as 1 or 11 and all the other cards are worth their numeric value. The dealer has to follow very specific rules. The dealer is required to draw a card, when their hand is below 17. This rule also applies to a soft and hard 17. A soft 17 is a hand that includes an Ace, and an example of a hard 17 is a King and 7. Once you make the decision to hit, you’ll receive another card from the dealer. Now if you don’t bust and you are below 21 you’ll need to decide whether to hit again or stand. The goal is 21, and whoever is closest wins. If your hand is the same value as the dealer’s, then the game is pushed or tied and your bet is returned. If you manage to get blackjack, which is an Ace and a 10 or royalty card, you win. Go over 21 then you bust and you lose. Always hit if your hand is less than 17, especially if the dealer has a 7 through to 10. The dealer has very little chance of getting blackjack or 21 with a low hand, so you have some room to put some pressure on. If the dealer is showing a 4, 5 or 6, stand when your hand exceeds 12. The dealer has a 40% chance of busting holding these cards. If the hand exceeds 13 then you have a great chance of coming out on top. Double down on any hand equalling 11, and if the dealer has a 2 or 10. Take advantage when your hand is totaling 10 and the dealer shows lower. Once you understand the basics of this great game, go and hit the tables. When you score your first major win on the felt – take a moment to share the good news with the JF team.